When visiting Chennai, Sorgam Serviced Apartment offers warm hospitality and various necessities. 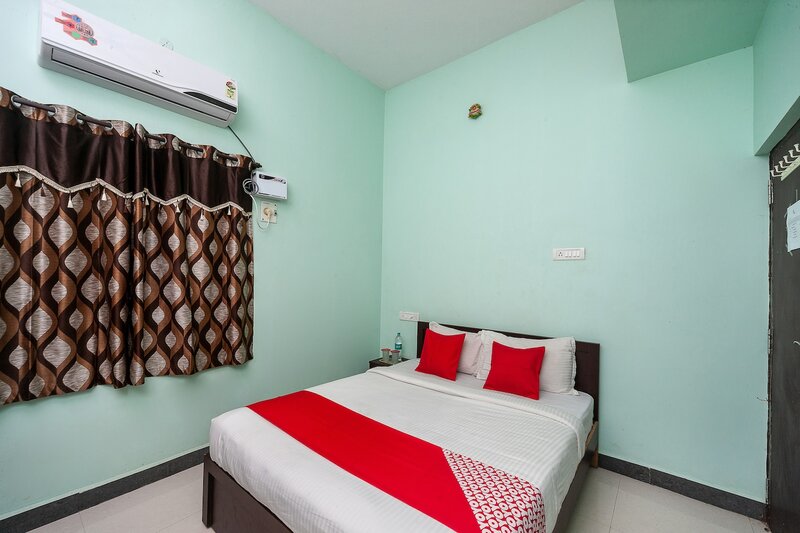 The rooms are spacious and well-ventilated and are equipped with basic amenities for a pleasant stay. The walls are painted with warm and bright colours adding vibrancy to the decor of the room. Power backup and CCTV cameras ensure the security of the guests. Free Wi-Fi can be used by guests to stay connected with social media. Elevator, laundry service and parking facility are some other amenities provided for the convenience of the guests. Guests can also enjoy tasty treats at the restaurants located at a short distance from the hotel.